A limited edition DVD featuring two films directed by Ian Hothersall. They are Ian's interpretation of two of my songs; The Ghost with Green Thumbs & Big White Car. Ian made the award winning si-fi short Once Upon a Time on Earth. 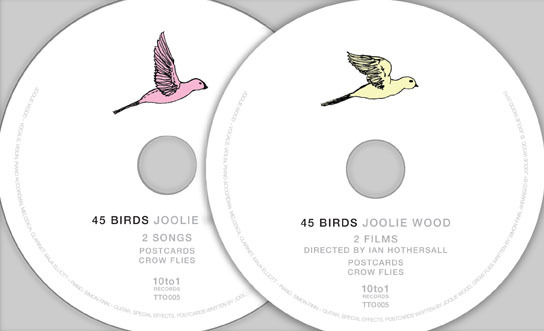 The DVD also includes live footage of Joolie, Maja & myself playing 2 songs from this years show at the Colchester Arts Centre; The Chauffeur & Jerusalam. The artwork of both front cover and back have been designed & created by Tsyoshi Kawasoe, the artist responsible for some of Tokyo's best show posters. Thank you so much Tsuyoshi!. The edition is limited to 250 copies, a few it will be available through 10 to 1, most will be kept back for the first couple of shows of 2012. 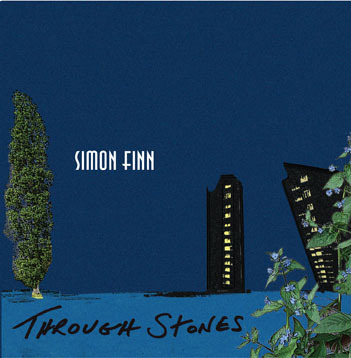 The new CD Through Stones is in stock and can be bought through PayPal using the email address: 10to1recordsUK@gmail.com The cost is £8 + £1.50 shipping, to anywhere in the world. For Europe CD's usually take about a week to arrive, from date of order. For Japan, USA & Canada about 7 to 10 days. There are 14 new tracks and comes with a lyric booklet. Please remember to put Through Stones, in the subject line. Captain Trip are putting out a Box set of the 3 live shows in Tokyo this winter. 8. How About That それでどう? 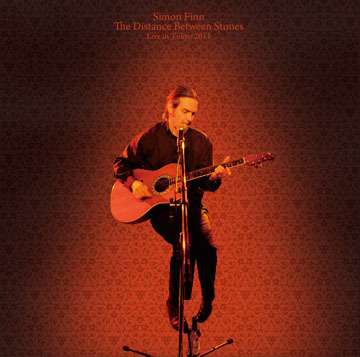 One audio disk and one DVD disk featuring 2 songs and 2 films, a numbered limited edition of 100 copies. Music by Joolie Wood, Simon Finn and Maja Elliott, films directed by Ian Hothersall. 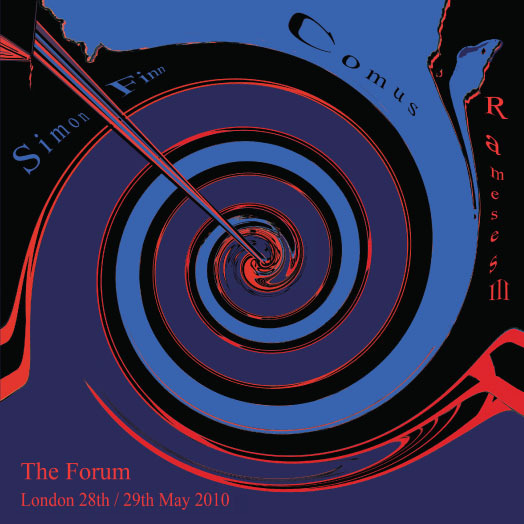 The 7" vinyl that Comus, Rameses lll, and myself contributed for the show at the Forum celebrating Current 93's 25th anniversary. In Maja's words it is "an emotional journey through genres, time and place. 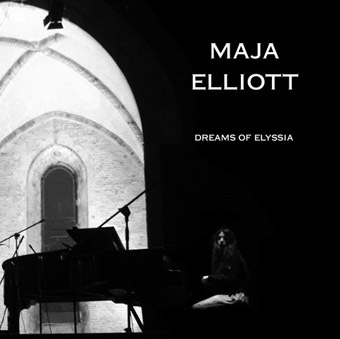 It spans a 5 year period, the title track Dreams of Elyssia having first been recorded on the Current 93 album, Live in Lisbon, with Antony (from Antony and the Johnson's). Some tracks were recorded in Venice, others in Sweden and Ireland." It as stunningly beautiful. Please put the title Dreams of Elyssia in the email. The cost is €10, plus €2 for packaging and delivery. Please remember to put the album title in the subject line. For Europe CD's usually take about a week to arrive from date of order. For Japan and USA & Canada about 7 to 10 days. There are 14 new tracks and a booklet with lyrics & drawings. 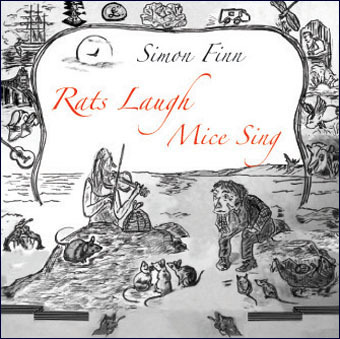 The CD has 16 tracks and is 52 minutes in length and includes a 16 page booklet with lots of photos, lyrics and notes. It has been produced by Vic Keary and engineered by Vic, Horse, and Nick Terry. Playing and/or singing on it are Joolie Wood, David Toop, Karl Blake, Rose McDowall, Danielle Dax, Keith Godman, and the wonderful Nidge. 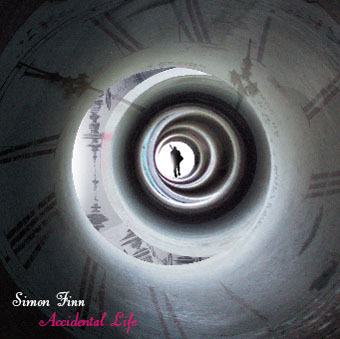 To order a copy on-line you can send money through paypal to: 10to1recordsuk@gmail.com with Accidental Life in the title and your address in the message body. 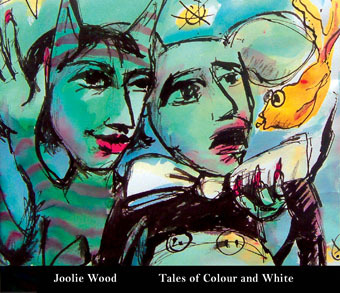 putting Joolie Wood, Tales of Colour and White in the title and your address in the message body.